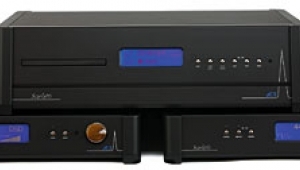 Ayre's Steve Silberman explained to me that Ayre wasn't interested in servicing a "niche" product like Meridian's Sooloos music serveror, apparently, any other products that require an outboard S/PDIF-equipped D/A converter. 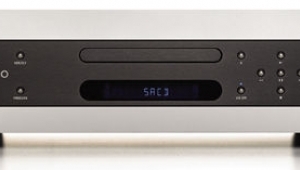 "Steve," I said, "everything Ayre makes is a niche productas is everything reviewed or advertised in Stereophile." 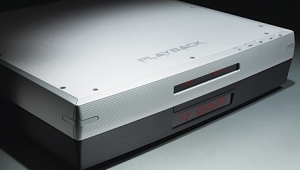 Ayre contends that anyone needing an S/PDIF input should find their own road. Why? 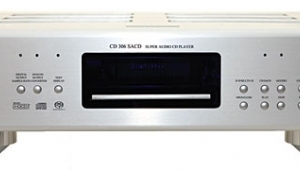 If you're into silver discs, the DX-5 plays them all. If you're setting up a server-based system, you'll most likely use a computer and the DX-5's USB port. 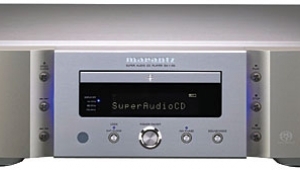 Who then would need S/PDIF? 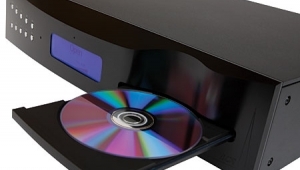 The multichannel-capable DX-5 will play CDs, SACDs, high-resolution DVD-Audio discs, DVD-Video and Blu-ray discs, and, via its USB port, music files stored on a personal computer using iTunes or other organizational software. 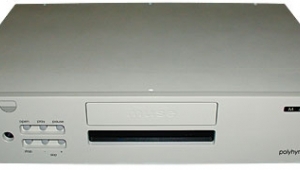 For now, the DX-5's USB port can reliably handle files of 24-bit/96kHz resolution from any computer and 24/192 from "some" with USB2.0, though an in-the-field firmware upgrade will allow the USB port to reliably handle 24/192 files from all computers (footnote 1). 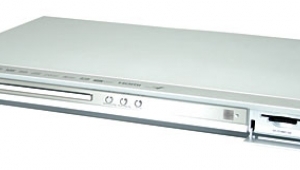 The DX-5 is based on an Oppo BDP-83 Blu-ray player, but uses only the Oppo player's disc drive and controller. Everything elseI mean, everything elseis built by Ayre, including, and especially, the USB port functionality. 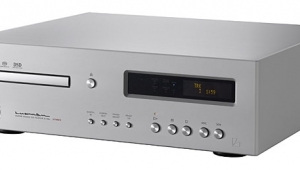 (Ayre says this is even better than the one they engineered into their well-regarded QB-9 USB DAC.) 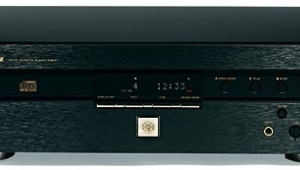 The DX-5 in no way resembles the recent embarrassment from Lexicon, where their expensive BD-30 player turned out to be the Oppo BDP-83 in a substantial Lexicon case, the only other changes being in the player's firmware. 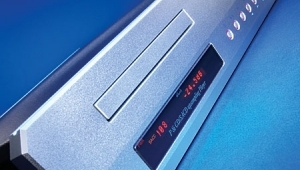 The DX-5 makes use of a completely new power supply, Ayre's zero-feedback, fully balanced audio circuitry, opto-isolators to prevent clock and other forms of noise pollution from entering the audio signal, and Ayre's latest iteration of its minimum-phase digital reconstruction filter, in the design of which both measuring and listening played important parts. 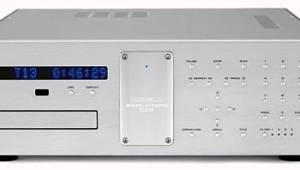 While the DX-5 is intended mainly for use in a multichannel audio and/or video surround-sound systemKal Rubinson will be writing about the DX-5 in this context in his next "Music in the Round" columnJohn Atkinson figured it would be worth reviewing in a two-channel system as well. 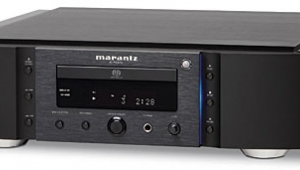 So while I can't use the DX-5 with my Sooloos, which I found frustrating, I suspect the lack of an S/PDIF input won't be a problem for most audiophiles heading into the 21st century's second decade. That's Ayre's bet, anyway. Steve Silberman brought along and set up a Mac mini computer, complete with Bluetooth keyboard, a 7" Pyle PLMN7SD LCD monitor, and mouse. I already had a few discs loaded into iTunes, and I added some more. But I also had many discs, plus some hi-rez files, loaded on my own laptop's iTunes; with the Mac's network iTunes sharing, I could access the thousands of tunes already loaded on my desktop computer. 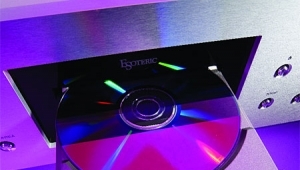 The 2000 CDs and hi-rez files I'd downloaded from HDtracks and uploaded to the Sooloos? Not so much. I also have a lot of SACDs and CDs and, in the garage, a big box containing more than 100 DVD-A discs with no way to play themuntil the DX-5 arrived. I could strip the data from them using software, then store the files on my laptop or on the Sooloos, but I don't have the time. As for Blu-rays, I have a live Tom Petty album, Neil Young's Archives box, and some from 2L and other futurist vendors. 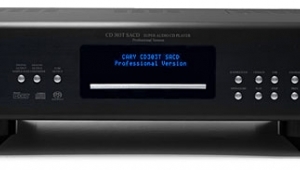 My review sample of the DX-5 came configured for two-channel use, but I believe the factory default is multichannel; if you're considering using a DX-5 for stereo playback, it's best to connect it to a video monitor to access the onscreen setup menu and make sure it's properly configured. 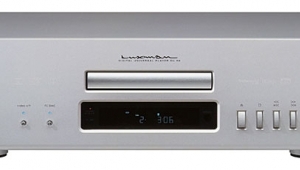 Footnote 1: For the lowdown on Ayre's use of Gordon Rankin's "Streamlength" asynchronous USB technology, read Wes Phillips' description in his review of the QB-9 in the October 2009 issue.